Solar Panels are panels that are typically placed on a roof to receive sunlight. The panels generate this sunlight into Direct Current electricity (DC electricity). The quantity of panels needed may change depending on your energy needs. You can also add extra panels in the future (depending on your inverter size), should you require to generate more energy. 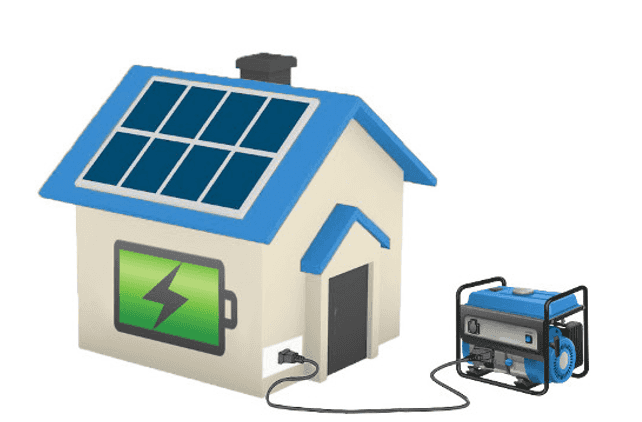 The Inverter is the part of the system that converts the electricity generated from the solar panels; Direct Current electricity (DC electricity) to Alternating Current electricity (AC electricity). AC electricity is the type of electricity our home appliances use to run. The size and type of inverter needed can change depending on your energy needs. The Switchboard receives the AC electricity from the inverter and feeds it in to your home for use by your appliances. The Electricity Meter calculates whether you have any excess electricity or if you require any extra electricity that your system has not been able to generate. This will determine whether you need to export or import any energy/power. Additional energy needed, or excess energy is either fed into the electricity grid or stored in a battery system depending on your system. The Electricity Grid is a public electricity source where your unused electricity can go, or you can receive additional energy from (the process of this is automatic if you are grid connected). You will receive reimbursement from the grid for your excess energy. This is called a ‘Feed-in Tariff’ and will appear on your power bill. If you require energy from the grid you will be charged for this on your power bill. 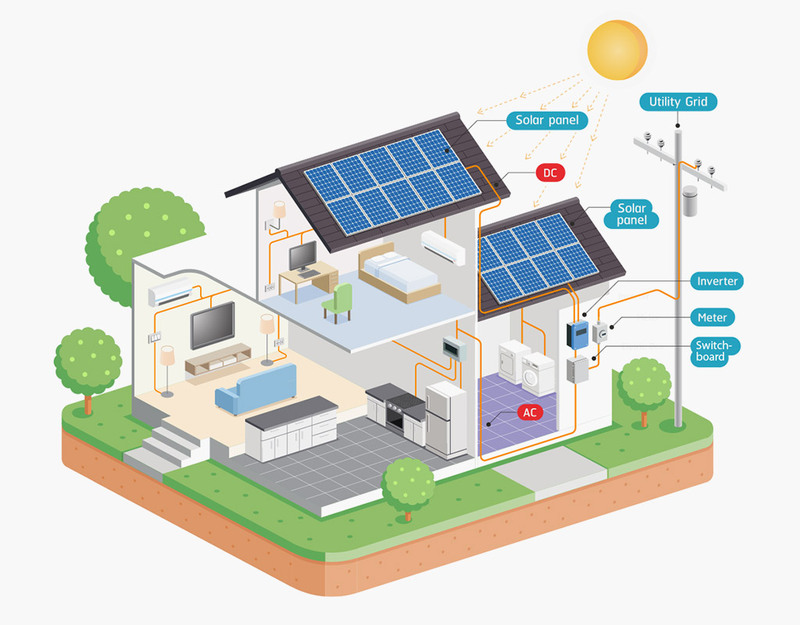 You need to have approval from your electricity distributor to connect your system to the grid, however your solar installer/provider should arrange this. A battery system is an optional component for your solar system. A battery system will charge a battery with your excess power and store the power for you to use when your solar panels are not generating energy. It’s important to note that whilst batteries are gradually coming down in price, adding a battery won’t necessarily benefit your current financial situation like a solar system will. Today’s prices (if your State does not offer subsidies or incentives for battery) could have you looking at an expected payback period of 15 years. As technology advances and batteries become more accessible it is expected prices will drop, similar to how they have for solar systems. 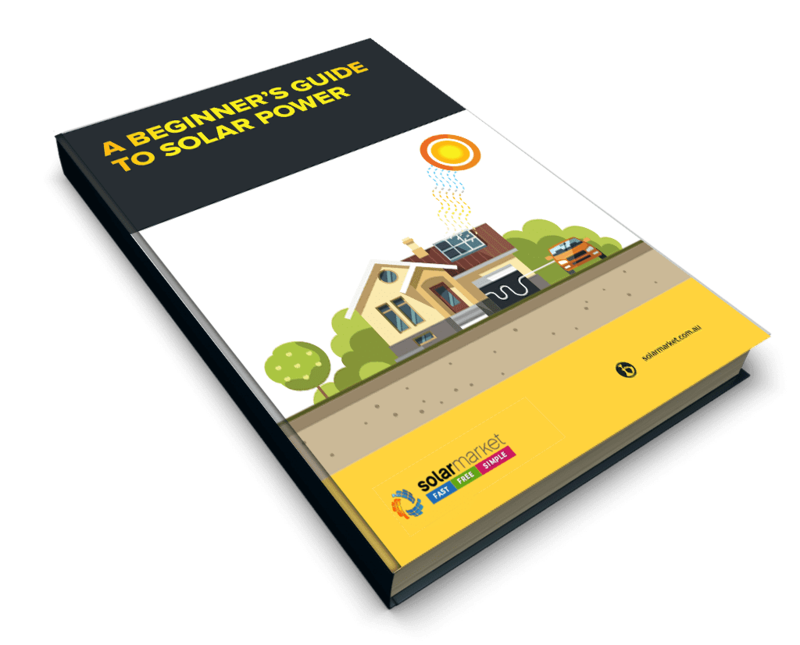 Ready to explore solar savings? Get 3 Free Obligation FREE Quotes!